Dec. 9, 2015, 10:11 a.m.
Called the JEDI Desk, the class is focused on everything from Snapchat and Facebook to 360-degree virtual reality video. By Joseph Lichterman @ylichterman Dec. 9, 2015, 10:11 a.m. The video looks like something you might seen on a site like BuzzFeed or Mic: Two women — one a Spanish speaker, the other an Arabic speaker — are asked how to say different words in their respective language. Pants? Bantalon in Arabic and pantalones in Spanish. Shirt? Kamis in Arabic and camisa in Spanish. The women — and many of the viewers — are surprised at the similarities between the words, and the video goes on to explain the history of the two languages and why they’re so similar. Since it was posted on Facebook last month, the video has amassed more than 15 million views — placing it squarely in BuzzFeed territory. The video, however, wasn’t produced by a professional news outlet; rather it was created by a pair of students in the University of Southern California’s Annenberg School of Communication and Journalism, as part of a new class to teach students how to produce videos and other storytelling methods specifically for social media and emerging platforms. News organizations have begun producing stories directly for social media platforms such as Instagram and Snapchat, while also experimenting with new story formats like 360-degree virtual reality video. With the new class, USC hopes to expose its students to new storytelling methods that are on the cutting edge of the news business. Development of the program began last spring when one student expressed interest in focusing on more social content. 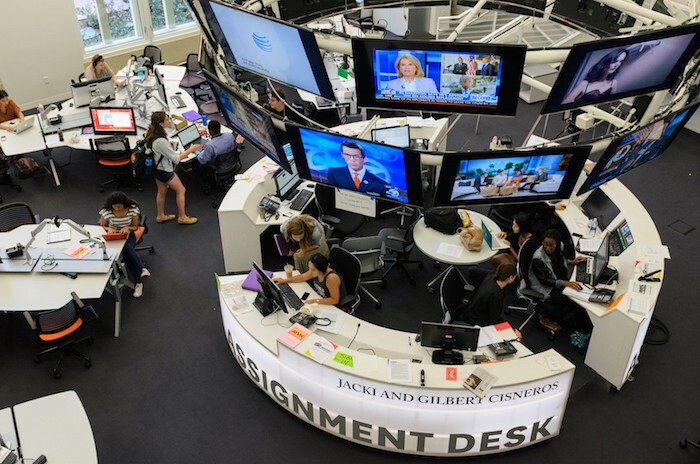 That resulted in the creation of a new desk in Annenberg’s Media Center, its collection of student-run media outlets. Enough students expressed interest in participating in the JEDI desk that USC decided to create the class for this fall semester. The class is limited to 15 students, and it’s already full for the upcoming semester, but “we have many other students who aren’t enrolled in the class but who are working with the unit,” said Rebecca Haggerty, a faculty adviser in the Annenberg Media Center, who is co-teaching the class with Aguilar. Students in the class focus on producing stories for various platforms, but they also listen to guest speakers and learn social strategy and audience engagement techniques. Though the Spanish-Arabic video attracted a massive audience beyond USC, most of the content attracts a more modest audience. Many of the videos have a few thousand views, but others have view counts that are in the hundreds or less. Most of the videos are focused on issues relevant to USC’s Los Angeles campus. While the school wants its stories to be viewed, Aguilar and Haggerty said they know the videos will rarely going to take off the way the Spanish-Arabic one did. The JEDI Desk has created a number of recurring series, such as 60SC, a 60-second news summary that touches on issues like a campus-wide sexual assault survey and Uber offering free late-night rides on campus. The desk also covers breaking news. When a group of students last month demonstrated in solidarity with the protesters at the University of Missouri, JEDI Desk reporters were there covering the demonstration on Periscope. The day after the terrorist attack in Paris last month, a student reporter tracked down a USC student studying abroad in Paris and posted the interview to Facebook and YouTube. Many of these stories were covered by Annenberg’s other student media outlets, but these versions were created specifically for social. They’re uploaded directly to platforms such as Facebook and YouTube, are purposefully kept short, and have subtitles, acknowledging that most people viewing these videos on their phones probably do so with the sound off. “While we might use some clips that cross over, we really are thinking about how it’s going to be presented on that specific platform, and that’s one of the things that makes the content work so well,” Aguilar said. That’s part of Annenberg’s main goal: To use the platforms to teach students skills and best practices for doing this type of journalism. POSTED Dec. 9, 2015, 10:11 a.m.
Lichterman, Joseph. "A new class at USC is teaching students how to produce stories specifically for social media." Nieman Journalism Lab. Nieman Foundation for Journalism at Harvard, 9 Dec. 2015. Web. 25 Apr. 2019. Lichterman, Joseph. "A new class at USC is teaching students how to produce stories specifically for social media." Nieman Journalism Lab. Last modified December 9, 2015. 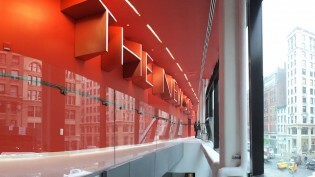 Accessed April 25, 2019. https://www.niemanlab.org/2015/12/a-new-class-at-usc-is-teaching-students-how-to-produce-stories-specifically-for-social-media/.